The portrait of Jo Gwan-bin, the first academician of the Office of Special Advisers under the reign of King Yeongjo during the Joseon Period, is introduced for the first time at this exhibition. 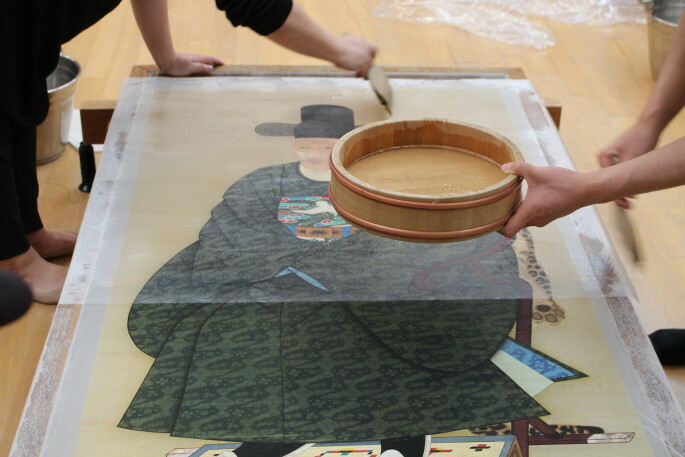 You can see by which steps the portrait was donated to the museum and how it was processed for preservation. Through the introductory remarks on the portrait written by Jo himself, light is shed on his life as a nobleman in the Joseon Period. Jobok was the most formal and splendid attire for officials. The harmony of red and gold color reflected its beauty and dignity. Dallyeong is named after a round collar shape. 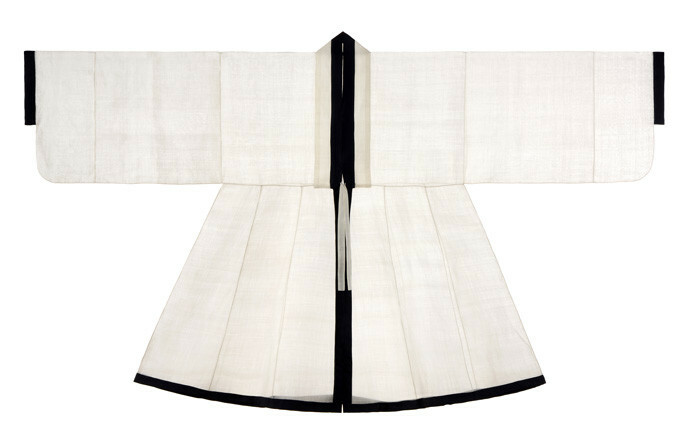 It was an official’s daily uniform, but non-officials also wore it as their bridal wear during the Joseon dynasty. 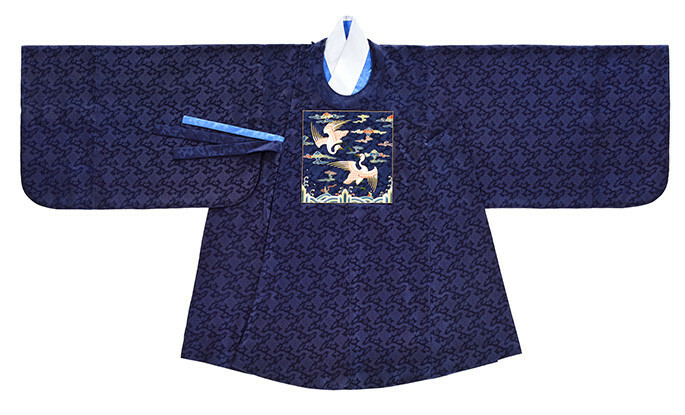 The attire consisted of Dallyeong, Samo, Poomdae, and Hwa. 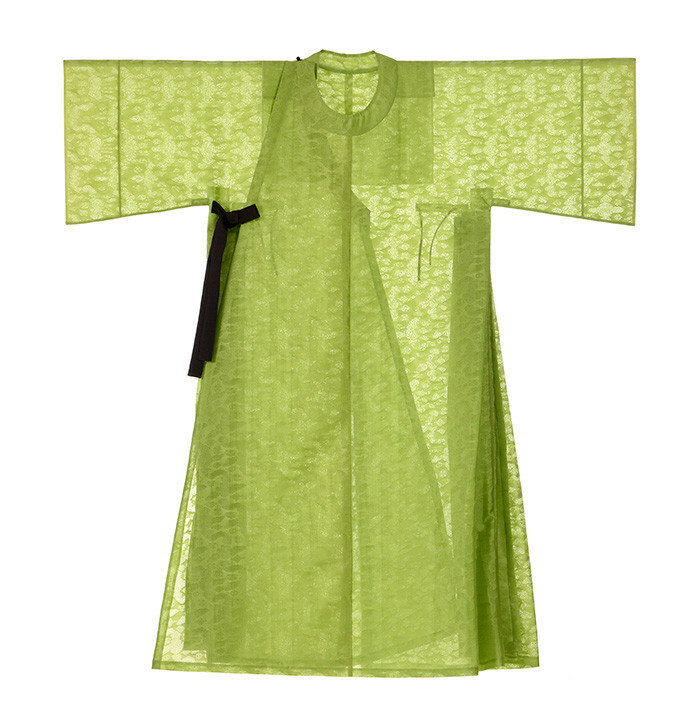 The general public were not allowed to wear this robe, but they could especially wear it during their wedding ceremony. 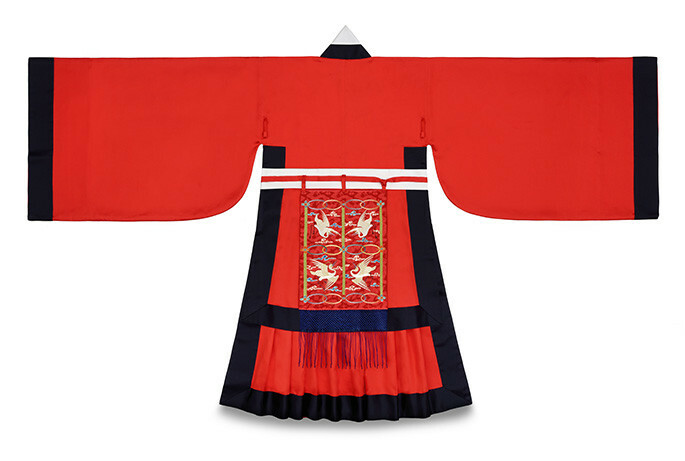 Wonsam as women’s ceremonial robe was originally reserved for the upper class women but was allowed as bridal attire for lower class women in the late Joseon dynasty. 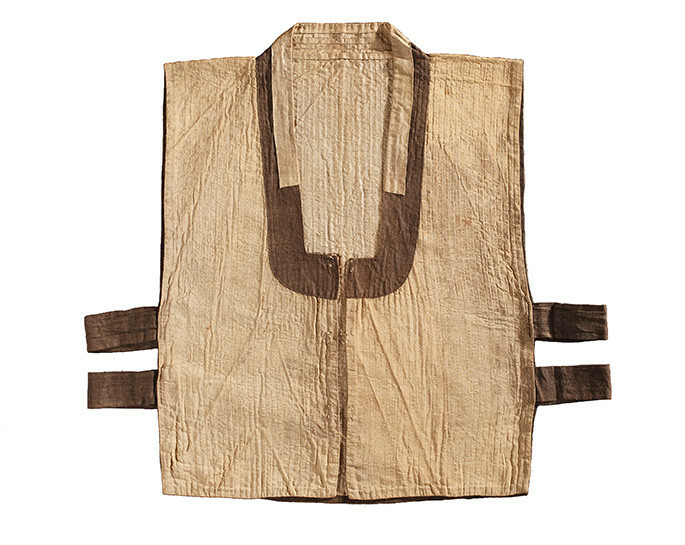 Baeja was a vest worn over jackets, and was worn by both men and women. It was also called Deung-geo-ri or Bae-geo-ri. Most Baeja had center-front opening, and its opening was buttoned or tied with straps.Gyeonggi Provincial museum possesses various types of vests: long ones, short ones, and ones with their back shorter than front, etc.